Over the last decade, Virginia has averaged about 24 tornadoes per year. The longer-term average from 1981-2010 is just 14 but storms may have been missed early in the record (as tornado detection has improved with time). Irrespective of whether the average is closer to 14 or 24, 2011 has been a hyperactive year, with double to triple the average count. The majority of this year’s tornadoes touched down in two outbreaks: the first on April 16 when there were 11 reported tornadoes and second on April 27-28 (the same days as the super outbreak in the Deep South) when there were 17. Interestingly, the elevated tornado activity this year has resulted from an active jet stream and strong cold fronts - in part related to La Nina. 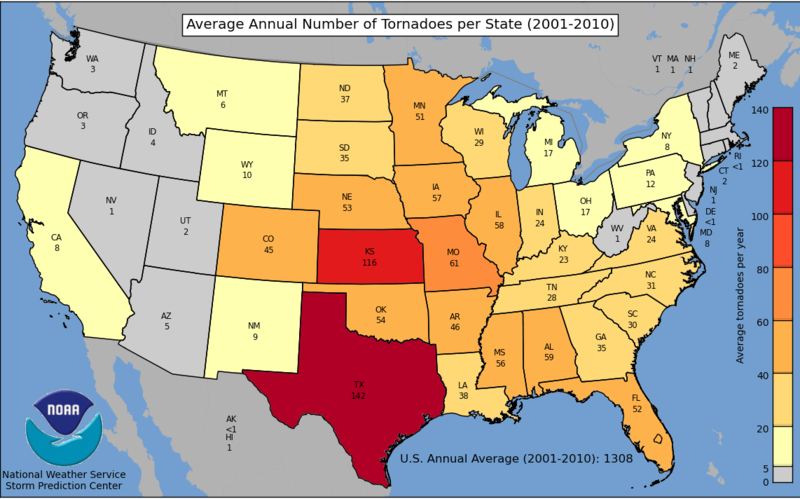 In Va.’s record setting year of 2004, most of the tornadoes resulted from remnant tropical systems. Of the 87 tornadoes that year, 70 were spawned by tropical systems (Gaston, Frances, Ivan and Jean) according to Bill Sammler, warning coordination meteorologist at the National Weather Service Office in Wakefield, Va. Incredibly, Ivan produced 40 tornadoes in a single day in Va.
A tornado tears through Louisa county in Va. on October 13, 2011. 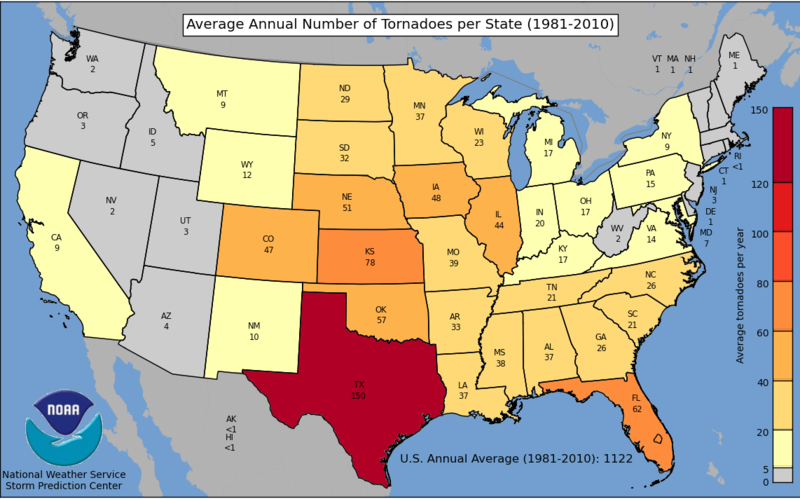 While the peak of tornado season (which for Virginia and Maryland is May through September) has come and gone, tornadoes occasionally occur in November and December in the region. One need only go back to November 17, 2010 when a tornado touched down in Baltimore city. Interesting fact: Year to date, Virginia and Maryland combined have had more tornadoes (70) than Kansas (67) and as many as Oklahoma (70). * I say “about 50” because while SPC indicates the count is 52, both the Virginia state climatology office and NWS Office in Wakefield Va. believe there may be some double counting in that estimate and think the count is more likely in the mid-to-upper 40s.